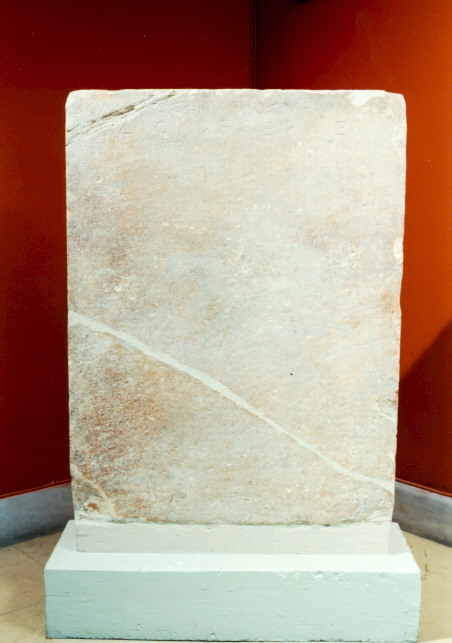 EM 6602 (IG I3 104) Stele bearing a 409/8 B.C. copy of the Draconian laws (7th cent. B.C. ), concerning homicide. Height 1,025, width 0,72, thickness 0,135 m.